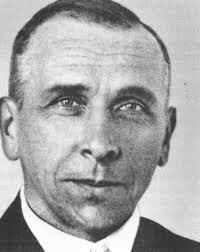 What evidence did Alfred Wegener use to support his theory of continental drift? Well, one major clue was that some fossils on the South American Coast have been found on the African Coast, which show that animals could roam around on one big super-continent. 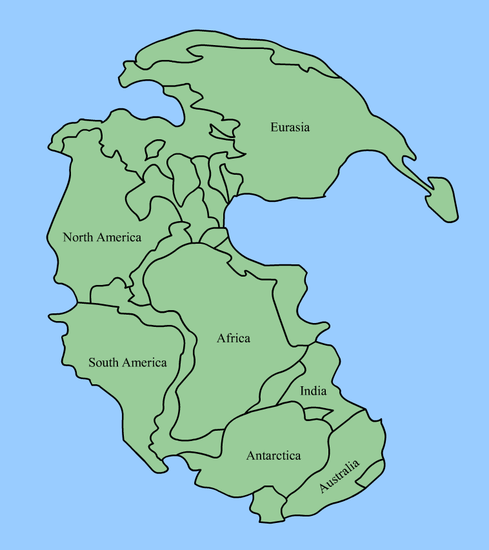 Another big piece of the puzzle was the two continents South America and Africa which seem to fit together perfectly which proves that Pangaea existed. Why didn't people believe in Wegener's Theory? Personally, I don't think that I would have believed it either. Part of the problem was that he couldn't get his point across to the people. So they pretty much thought he was a crazy man with a crazy idea. But the thing is, he knew he was right, so he kept trying to make them believe. Who Were the Two Scientists Who Brought Forth Supporting Evidence To Wegener's Theory And What Was Thier Evidence? "There were scientists who supported Wegener: the South African geologist Alexander Du Toit supported it as an explanation for the close similarity of strata and fossils between Africa and South America, and the Swiss geologist Émile Argand saw continental collisions as the best explanation for the folded and buckled strata that he observed in the Swiss Alps." 'What prompted the revival of continental drift? In large part it was increased exploration of the Earth's crust, notably the ocean floor, beginning in the 1950s and continuing on to the present day. By the late 1960s, plate tectonics was well supported and accepted by almost all geologists. 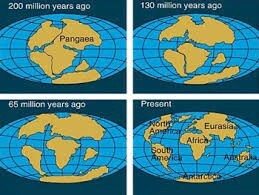 We now know that Wegener's theory was wrong in one major point: continents do not plow through the ocean floor. Instead, both continents and ocean floor form solid plates, which "float" on the asthenosphere, the underlying rock that is under such tremendous heat and pressure that it behaves as an extremely viscous liquid. (Incidentally, this is why the older term "continental drift" is not quite accurate -- both continents and oceanic crust move.)" 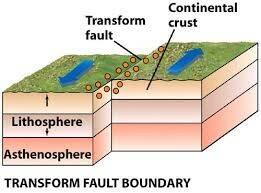 "A transform boundary is a fault zone where two plates slide past each other horizontally. Most transform faults are found in the ocean where they offset spreading ridges creating a zigzag pattern between the plates. Some transform faults occur on land." "In plate tectonics, a convergent boundary, also known as a destructive plate boundary (because of subduction), is an actively deforming region where two (or more) tectonic plates or fragments of the lithosphere move toward one another and collide." "In plate tectonics, a divergent boundary or divergent plate boundary (also known as a constructive boundary or an extensional boundary) is a linear feature that exists between two tectonic plates that are moving away from each other." What Types Of Movement Can Occur Between Plates And What Features Can Form From This Movement? The three forms of movement that can happen between plates are oceanic-oceanic, continental-oceanic, and continental-continental. The features that can form at the plate boundaries are earthquakes, faults, volcanoes, and mountains. 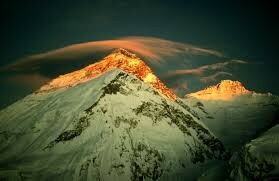 Mount Everest is an example of a convergent boundary. 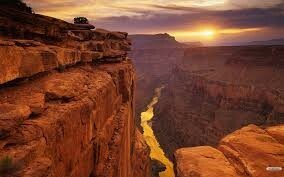 The Grand Canyon is an example of a divergent boundary. The San Andreas Fault is an example of a transform boundary. 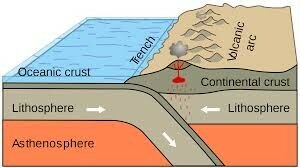 What Do Plate Tectonics And Ocean Trenches Have In Common? "Under the ocean, the plates explain whythere is major seismic energy in the Pacific Ocean and how deep ocean trenches and large fracture zones and rifts in the ocean floor occur." How Old Are The Rocks Off The East Coast Of North America In Relation To The Rocks Right Along The Mid-Atlantic Ridge? And Why Is This? Q8: The rocks off the East Coast of North America are about 4.6 billion years old. But, the rocks right along the Mid-Atlantic Ridge are only about 210 million years old , so the rocks off of the east coast are much older. Q9: Well, the most reasonable answer is the rocks of the coast of North America were formed before the ones along the Mid-Atlantic Ridge, so they are older because they were created first. "Convection is the internal movement of currents within fluids (i.e. liquids and gases). It cannot occur inside solids because the particles are unable to flow freely. The most common cause of internal movement is a variation in density due to a major transfer of heat. Other sources of density variations, such as variable composition (for example salinity), or application of an external motive force can also cause currents. Current movement may be invisibly slow, or it may be as fast as a hurricane or typhoon. Convection occurs in atmospheres, oceans and planetary mantles. Convection currents will keep moving as long as there is heat." The two worst things that can happen, in my opinion, are earthquakes and faults. How Did Plate Tectonics Cause These Things? The plates shifting underneath our everyday life rub against each other and slowly rise upwards or split apart causing these disasters. Well, first off, they gave us more knowledge about the earth and how it works. Second, things like faults might show underground to reveal minerals and ores. Last of all, disasters like earthquakes can show us our mistakes and how to revise buildings afterwards and in the future. Well, we know plate tectonics cause faults and destructive earthquakes. And we know they gave us knowledge because if not, we wouldn't even know about them today.